Residential Properties - Pristine Property Maintenance Ltd. Client requested renderings for different options for driveway stone. We presented client with 5 different options before they selected. 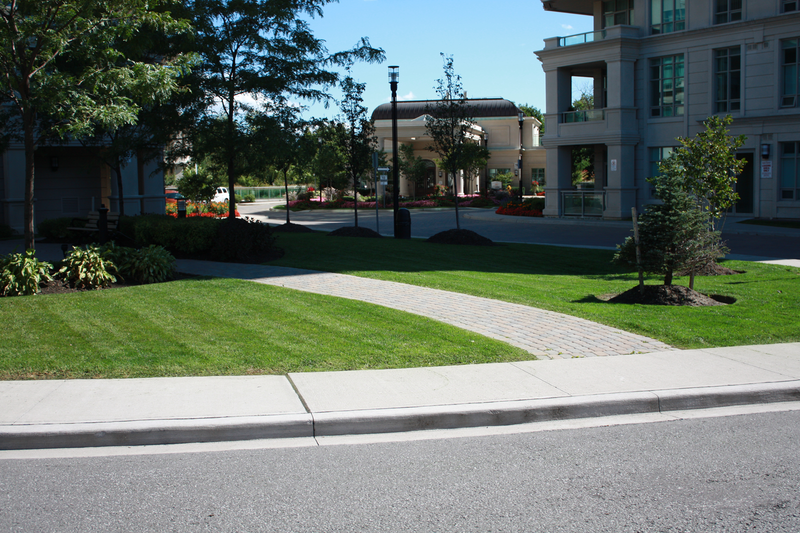 Narrowing down the seemingly endless options available for front yard landscaping. 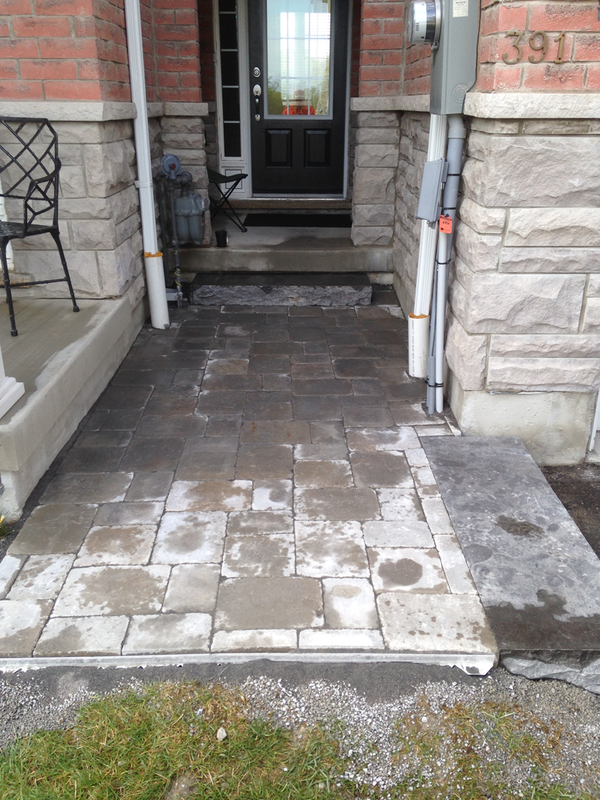 Client wanted to see different options for how a new set of steps to the back door from a future interlock patio (note that the interlock patio Holland stone had already been selected) would look. Client ended up selecting option#1. Recommending the best option from an endless list of options (natural stone, interlock, etc.). 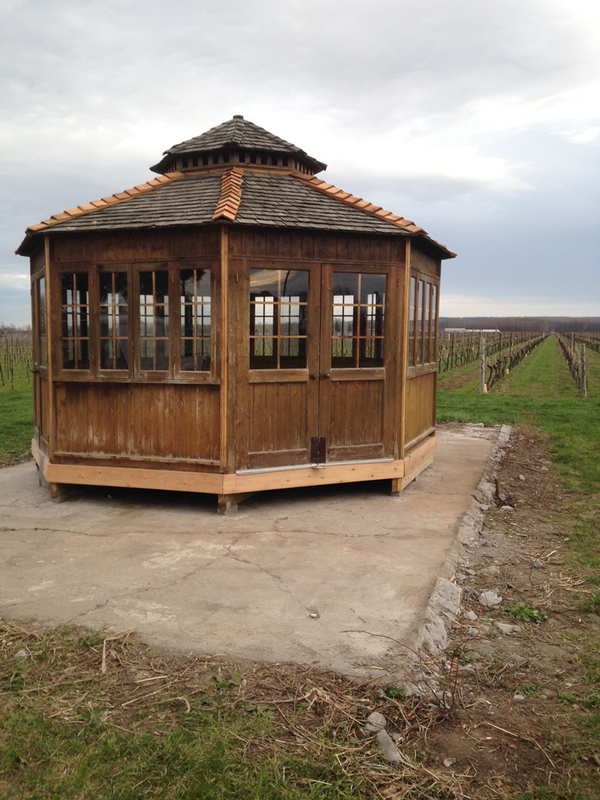 Large corporate client wanted a “rustic” and antique looking gazebo built on-site in Niagara Region. We carefully selected antique woods and designed and built to client specifications. Need to build exactly to specification and need to use antiqued wood – selection of which had to be exact. Client had a new home in a newly built subdivision and was unhappy with the builder’s patio stones that were installed. We selected an appropriate stone for her and installed in a relatively tight space between her house and her neighbours. Building in a narrow space to make the space look as large as possible. We did not want to use stone that was too large as it would make the space look even smaller. Hard in tight spaces to use a soldier course border, but we selected a smaller stone in response. Client wished to have a yard that had no grass. Choosing rocks and plant species that would work well in the space. Working in an area with a number of mature tree roots in space where footings needed to be installed – roots do not show up on locate drawings. 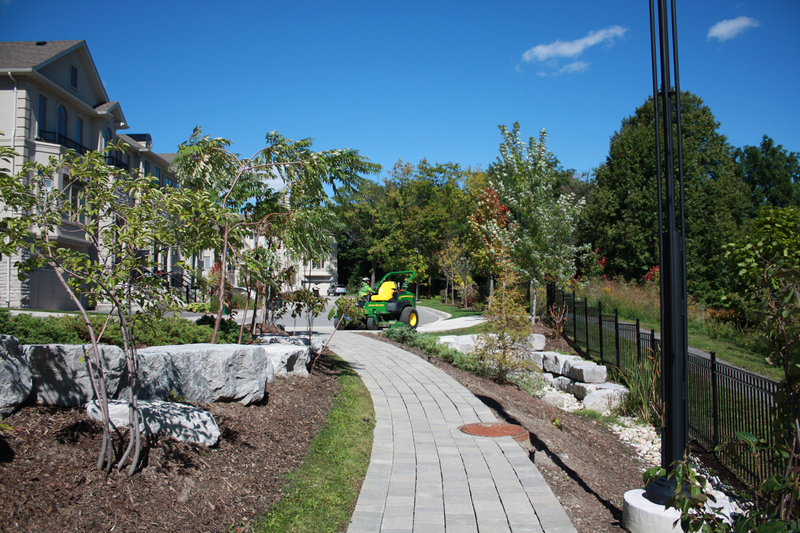 As a result we had to redesign the locations and spacing for footings several times and client is not charged for the additional labour involved as the scope of the work is priced ahead of time. 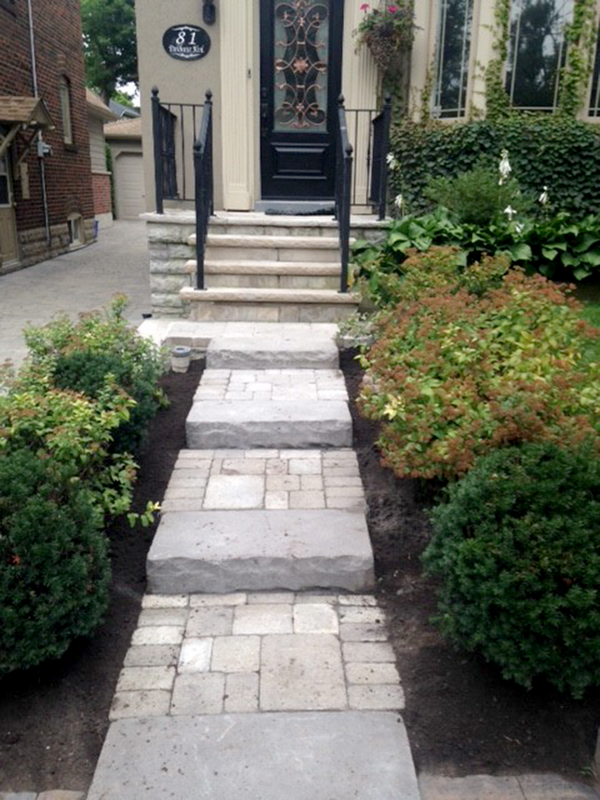 Client wished to have a new set of natural stone steps and landings installed leading to her front door. 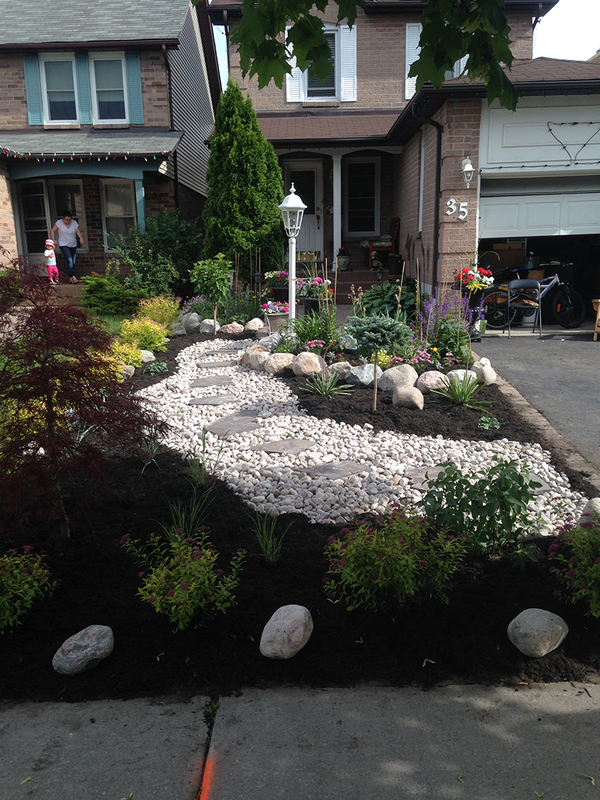 In order to have the natural stone steps look proper, we needed to work with the existing natural slope of the land. Client wanted to maximize their backyard space by installing a patio. 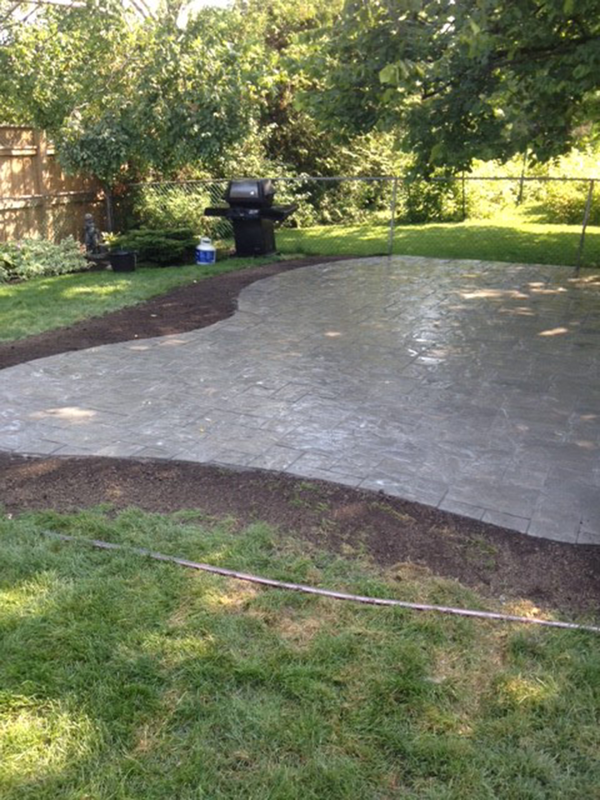 Client was originally interested in an interlock patio and that is what we designed the space for. 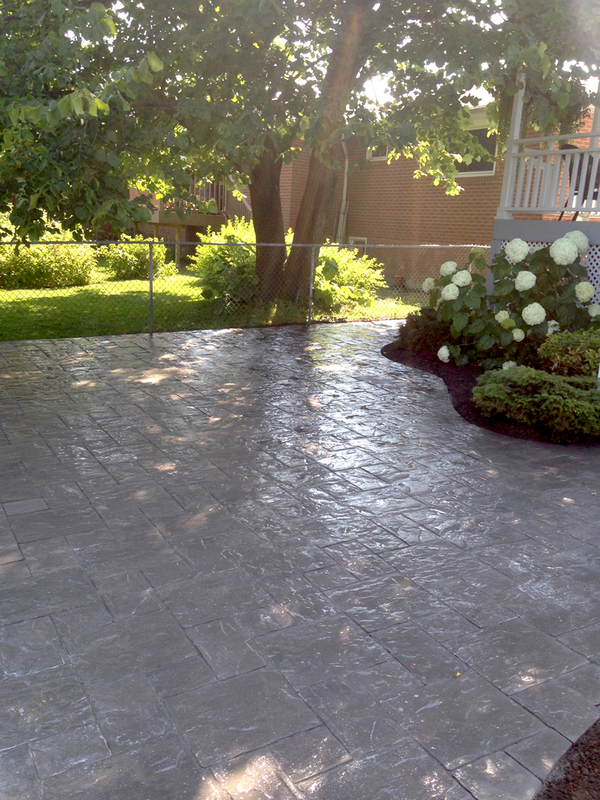 Once the client saw some of our other completed projects, they fell in love with the concept of stamped concrete. As a result, we needed to adjust our plans to accommodate. 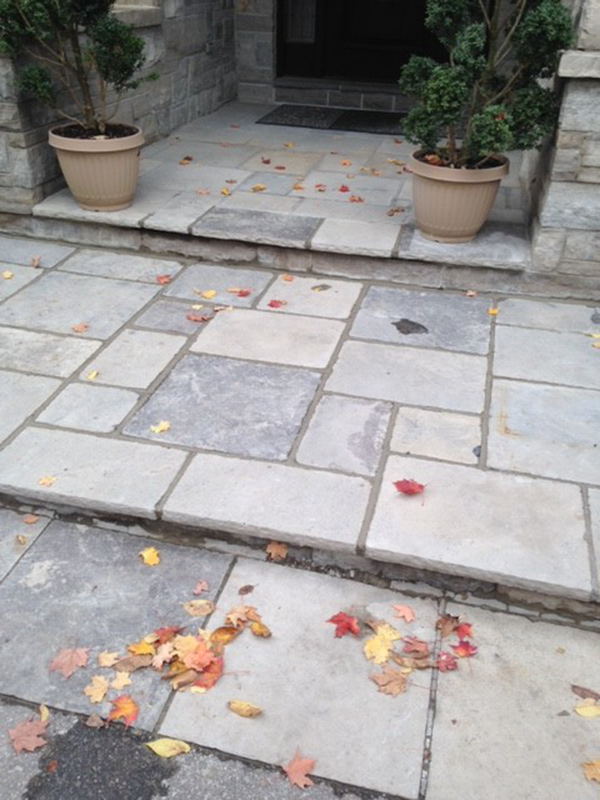 Client wanted wet-lay flagstone installed as steps. Ensuring that the base was absolutely perfect so to avoid future heaving and loss of mortar joints. All of work is guaranteed for minimum 2 years!